With the lambing season upon us, sheep farmers are being asked to consider if they are supplying adequate energy to ensure the nutritional demands of the ewe are being met. Commenting on the best approach to nutrition, Dr Kenton Hart, Caltech Crystalyx’s technical manager, said: “Throughout a ewe’s pregnancy, regardless of system ,the nutritional demands follow the same pattern, and its vital farmers focus on the timely needs of the pregnant ewes to reduce losses and maximise performance. “Nutrition in mid pregnancy should be sufficient to optimise placental growth. Foetuses undergo very little growth in mid pregnancy, but growth of the placenta continues and is completed by the end of the third month of gestation. The placenta provides all the nutrients for the unborn lambs in late pregnancy and poor placental development will result in low birthweight lambs with poor viability – irrespective of late pregnancy feeding. Dr Hart added: “Research work by SAC showed that a sub-clinical deficiency of cobalt in the first half of pregnancy resulted in lambs which were slower to stand and suckle and much more susceptible to neonatal diseases. All these symptoms occurred irrespective of late pregnancy feeding, so it’s important not to put all your efforts into late pregnancy nutrition – mid pregnancy efforts will be rewarded. 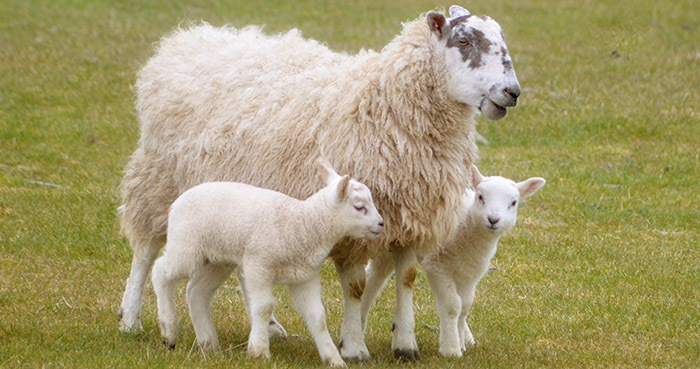 Dr Hart added: “Lamb survival is largely dependent on a good birthweight and high lamb vigour, coupled with good maternal care and a swift onset of lactation by the ewe. With 70% of foetal growth taking place in the final six weeks of pregnancy, all these factors are dependent on good late pregnancy nutrition.